cultivated the olive tree since ancient times, even before the columns of Selinunte seventeenth century. B.C. A landscape that witnessed the archaeological splendor of civilization that knew how to tame nature, surroundings the outfall of the Belice river and beyond. 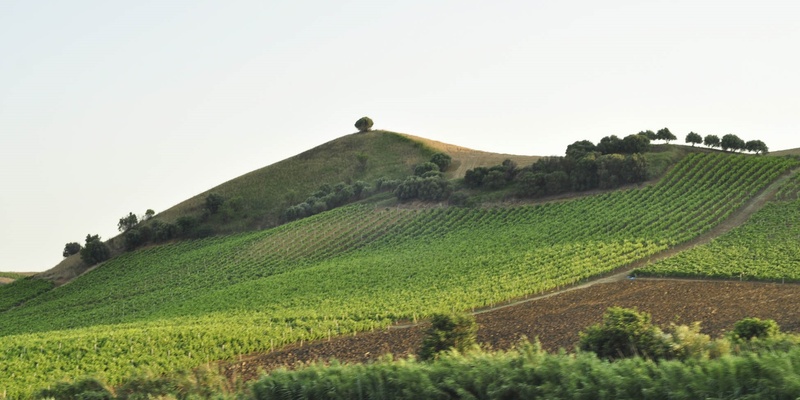 The brand was created in 2009 to give added value to local production of agricultural family farms in the area of Castelvetrano. From an idea of its founder, through attention to the simplicity and the landscape character, it returns the value of fruitful family fields and the recurrence of the olives the close lands. With the eyes of the professionist with the passion for the infused agriculture, Nicolò Asta bottled extra virgin olive oils of highest quality in one of the most acclaimed Sicilian olive growing areas par excellence. Valmore is taking care of the professionalism of selected farms choices, family-run small companies that retain the old values of the local agricultural tradition, from cultivation, trough plant management, to the harvesting. Valmore is happy to see the thriving rediscovery of the territory, as many young people today are motivated to restore and enhance the status of ancient olives yards. Label the better and serve it in the world. The experience of extra virgin olive oil extraction in this area reaches excellence recognized worldwide. We believe that selection of fruits, washing and cold extraction is an essential must do for higher quality productions. Oils selected by Valmore are stored in stainless steel silos, high food standards, at controlled temperature and nitrogen blanket to preserve its freshness. By doing so we would like to obtain its unique flavor, oils that do not change over time. With the love for centuries of history, tradition and culture of Sicily.